Line twenty four 2 ½ -inch muffin cups with paper bake cups. Combine flour, cocoa powder, baking soda and salt. Set aside. In a large mixing bowl beat butter with an electric mixer on medium to high speed till softened. Add sugar; beat till combined. Add eggs, one at a time, beating well after each. Alternately add flour mixture and water, beating on low to medium speed after each addition just till combined. Pour into prepared muffin cups. Bake in a 350°F / 180°C oven for 15 to 20 minutes or till a wooden toothpick inserted in centers comes out clean. Cool in pans on wire racks for 5 minutes. Remove from pans. Cool completely on wire racks. Fill or frost cupcakes with your favorite icing. ooh !!! yum, they look super delicious. Looks so yum! Can never get enough of cup cakes. 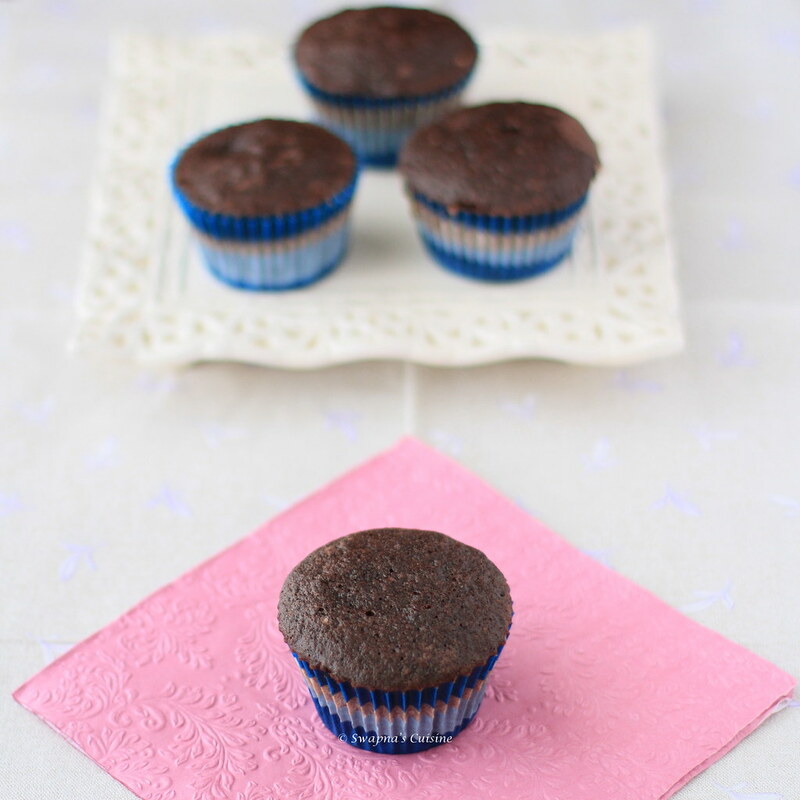 Love the deep dark colour and the cupcake liners-they look so pretty! They look irresistible...I would love to have choc sauce all over it. Where to get the muffin cups at chennai? When I visited home centre last week(lifestyle group) in alwarpet, near signal..I came across bright coloured delicate silcon reusable muffin liners..were of superb quality though a bit exp..
looking sooo cute and yum. Love the liners !! Like them! Prefer them plain without the icing. Can't wait to fill this cupcake with vanilla icing and frost it with peanut butter frosting. Wow Lester that's a great idea! This is a great recipe, but for some reason this page will not allow my mouse to highlight the recipe and copy/paste it to my document, so I can't use the recipe. That's really weird that I can't copy/paste this particular page only. Just finished making these. The batter was terribly delicious and spent most of my time devouring that. They rose wonderfully in the oven and smell so good. And soft! This is definitely my new "basic" chocolate cupcake recipe. 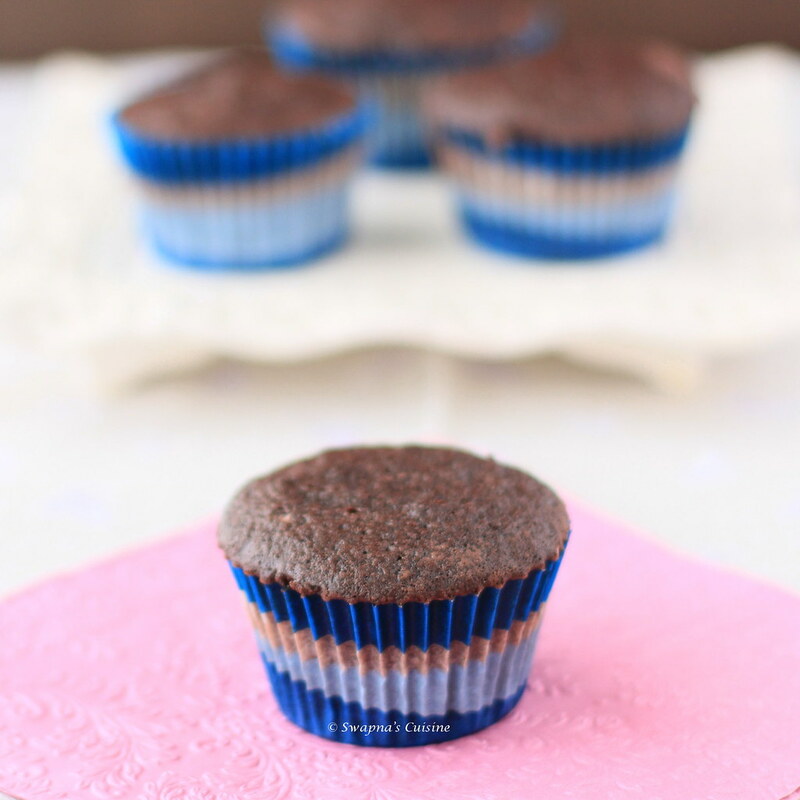 hey.. from where can i get such awesome cupcake liners in cochin??? 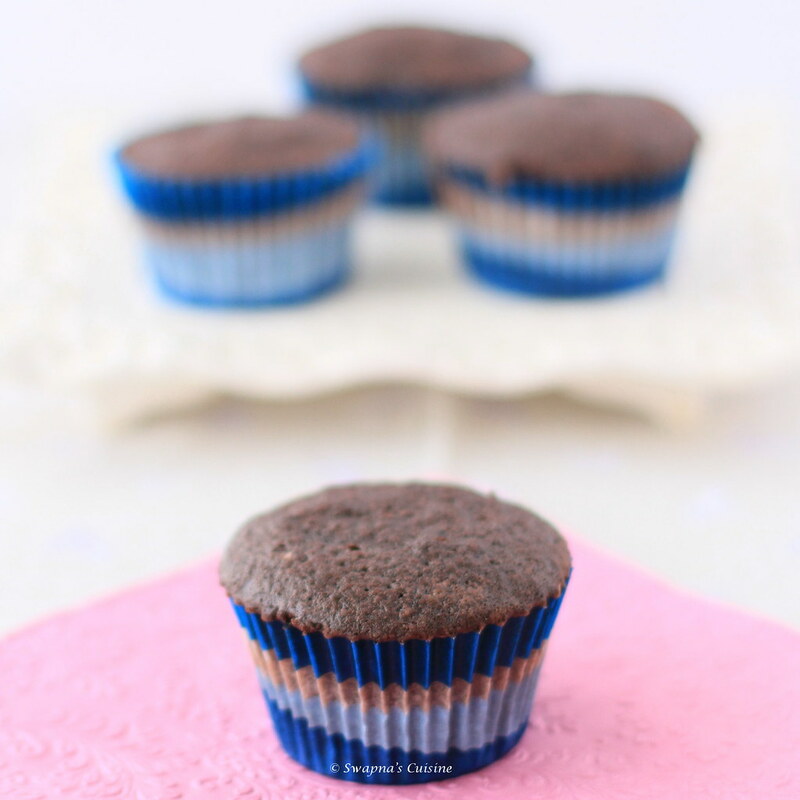 hey.. from where can i get such awesome cupcake liners in cochin?? Hey what can i use instead of egg.. Sorry no substition for eggs in this recipe!